2008-07-08 - Party with motorcycle rideres from all over the world. Munich/Garmisch-Partenkirchen. 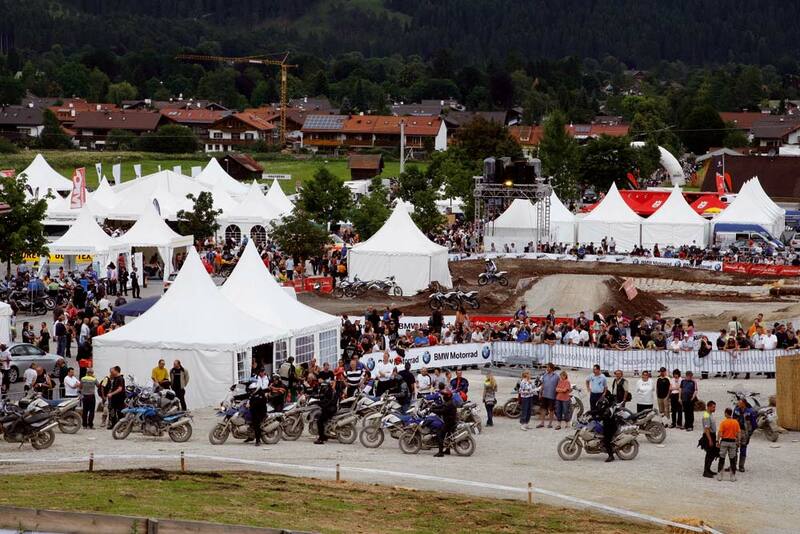 Three days party, riding and talking: About 34.000 people visited the 8. BMW Motorrad Days from 4. - 6. July 2008 in Garmisch-Partenkirchen. 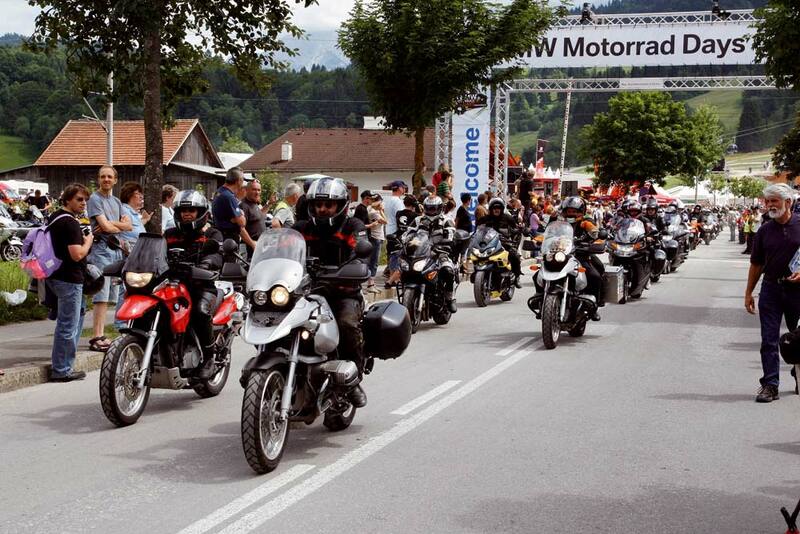 Thousends of motorcycle riders from more than 30 countries met at this holiday place in front of the Hausberg at the biggest BMW Motorrad Party in the world. Where BMW presented an exciting programm round the BMW Motorrad World. 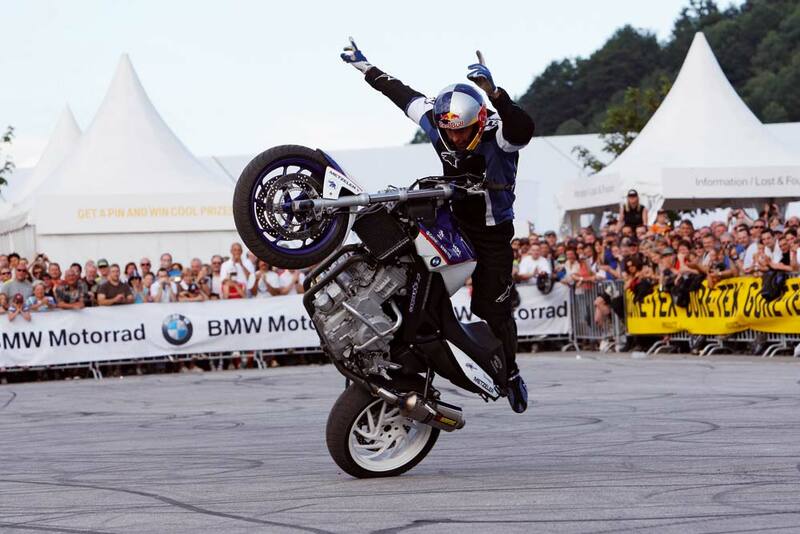 Chris Pfeiffer the Indoor Streetbike Freestyle World Champion showed many breathtaking stunts on his converted BMW F 800 just like on a BMW G 450 X Sportenduro and on a HP2 Megamoto. 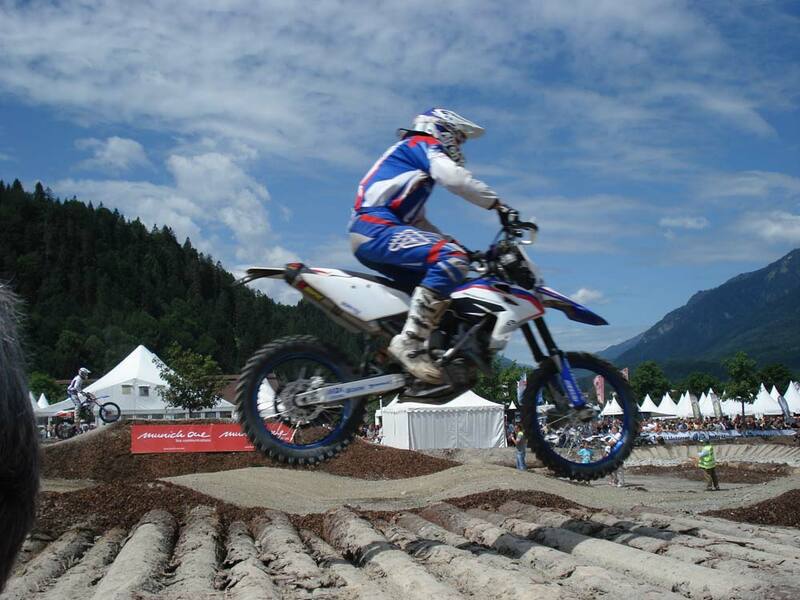 On the "X-Track" an Off-Road Track especially built for this event BMW Motorrad Motorsport Enduro Rider Joel Smets, Andi Lettenbichler, Gerhard Forster and Bernd Eckenbach fighted against each other. But also every visitor could ride on a BMW G650Xchallenge and G450X around the Track if he was brave enough. Also the BMW R1200GS, G650Xchallenge and G650Xcountry could be tested on the Enduro Park at this bikermeeting. And everyone could take place in the guided tours on each day. Every night was great party in the big beer tent where the crowds jumped on the tables or you could visit the smaller areas like the US-Lodge where some very good bands acted.